Very spacious comfortable house. Clean and tidy with a good shower. Supermarket only a few hundred feet away. Friendly owner who was very accomodating. The size was perfect for our family of four. It’s near the Rewe and restaurants. It was very clean. It is in a good location for exploring the Rhein and Mosel rivers. We have enjoyed our stay very much! Villa is an old building with it's unique "genius loci", it is well kept and renovated, we felt comfortable. Quirky. It was unexpected, a large apartment on ground floor, really high ceilings and the owner has decorated to a unique Italian/German style which we enjoyed living in for the night we were there. We went and bought breakfast from supermarket next door and ate in , rather than out as originally intended, because it was a nice apartment. Central location. If you are into Interior design then this place is a must. Outstanding decor for a very specious apartment. Only stayed one night but would definitely recommend ! Absolutely gorgeous apartment. Beautifully decorated and fantastic location. We had a terrace with views of the mountains and sky. Everything you need is provided and it feels like you are staying in someone’s beautiful home, rather than a holiday apartment. We will definitely stay again. It was very hard to leave!!!!! Fantastic owner, excellent location 50m from the spa, and a lovely town! The apartments were very clean and decorated beautifully. We were very comfortable and had plenty of space for our group of friends. It felt like home! We would highly recommend staying here for anybody (friends, couples, families)! Andrea (the owner) was extremely welcoming and helpful! 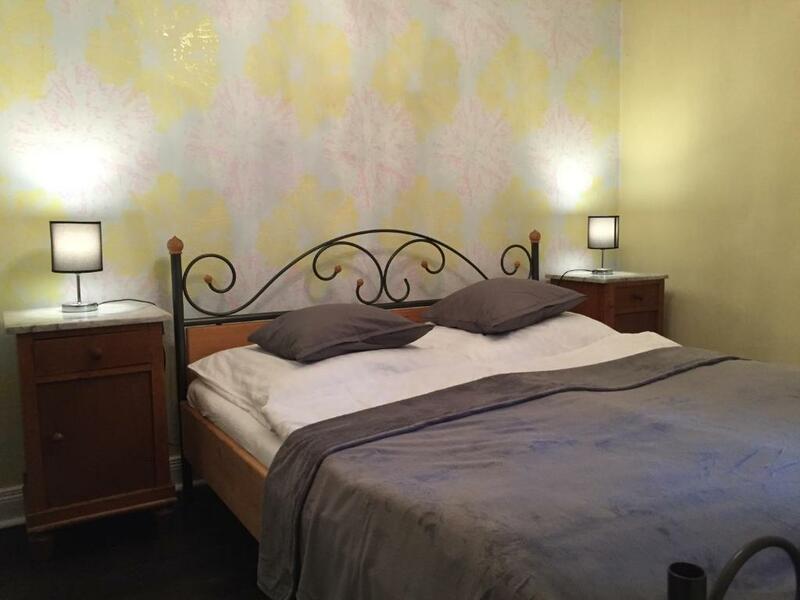 Very kind and helpful host, very well placed accommodation (close to the center and to the SPA), fully utilized and clean apartment, good style furniture. Lock in a great price for La Dolce Villa – rated 9.2 by recent guests! La Dolce Villa offers pet-friendly accommodations in Bad Ems, and is just 150 feet from the Emser Therme Spa and Wellness Center. Wiesbaden is 29 mi away. Free private parking is available on site. There is a seating and/or dining area in some units. There is also a kitchen, fitted with a dishwasher, oven and toaster. A refrigerator and stovetop are also offered, as well as a coffee machine and a kettle. Towels and bed linen are provided. Koblenz is 5.6 mi from La Dolce Villa, while Cochem is 27 mi from the property. The nearest airport is Hahn Airport, 33 mi from the property. 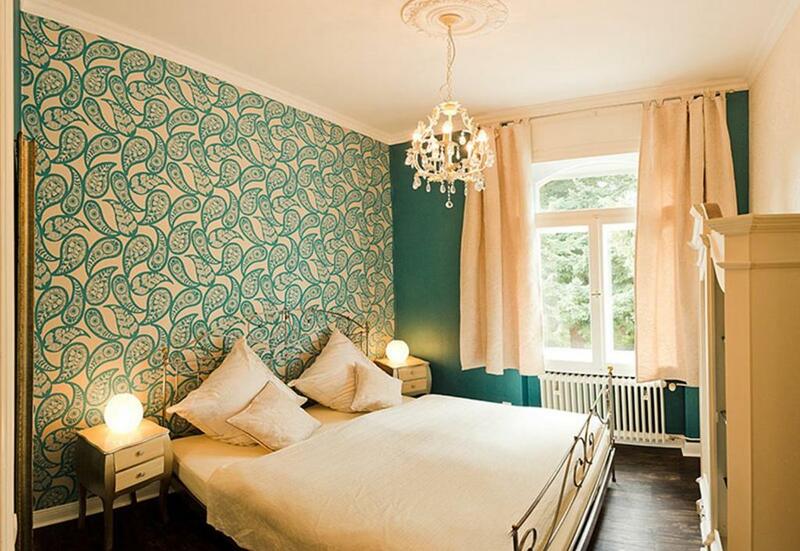 This property also has one of the top-rated locations in Bad Ems! Guests are happier about it compared to other properties in the area. This property is also rated for the best value in Bad Ems! Guests are getting more for their money when compared to other properties in this city. When would you like to stay at La Dolce Villa? This suite has a sofa, dishwasher and private entrance. This suite features a seating area, dishwasher and stovetop. This suite has a covered terrace, microwave, sofa and dining area. House Rules La Dolce Villa takes special requests – add in the next step! Please inform La Dolce Villa of your expected arrival time in advance. You can use the Special Requests box when booking, or contact the property directly using the contact details in your confirmation. Everything was fine. Nothing to dislike. If like us you normally live in the middle of the country, then hearing traffic in the morning can be a surprise, but the house is centrally located so we should not have been. The building and a part of furniture/facilities were too old to be used. The main trashcan was located directly under the Kitchen's window which causes unpleasant atmosphere. The town was not as nice as other places nearby but that has nothing to do with the house as such. That it isn’t mine !! One bedroom had a memory foam mattress but the other did not and badly needs one. In the bedroom faced to the front you can hear some roadnoise from passing cars. The WIFI was not consistent, but this can also happen in your own home so it didn't really bother us.